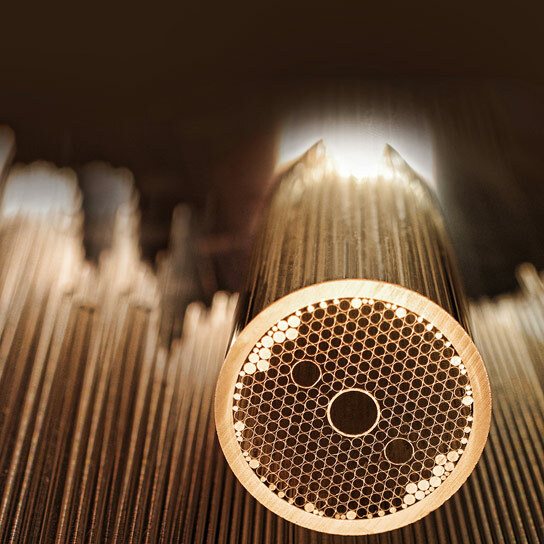 Researchers from Honeywell International have modified hollow-core fiber, dramatically improving performance and making it the first hollow-core fiber to demonstrate single-spatial-mode, low-loss and polarization control. Although hollow-core fiber has been available from overseas suppliers for years, DARPA’s ongoing Compact Ultra-Stable Gyro for Absolute Reference (COUGAR) program has brought design and production capacity inside the United States and developed it to a level that exceeds the state of the art. Polarization control: the orientation of the light waves is fixed in the fiber, which is necessary for applications such as sensing, interferometry and secure communications. Hollow-core fiber can also be bent and coiled while guiding light at speeds 30 percent faster than conventional fiber. DARPA began COUGAR to enhance fiber optic performance for military-grade gyroscopes and to develop a world-class, hollow-core fiber production capability in the United States. 1 Comment on "Enhanced Hollow-Core Fiber Features Performance-Enabling Properties"